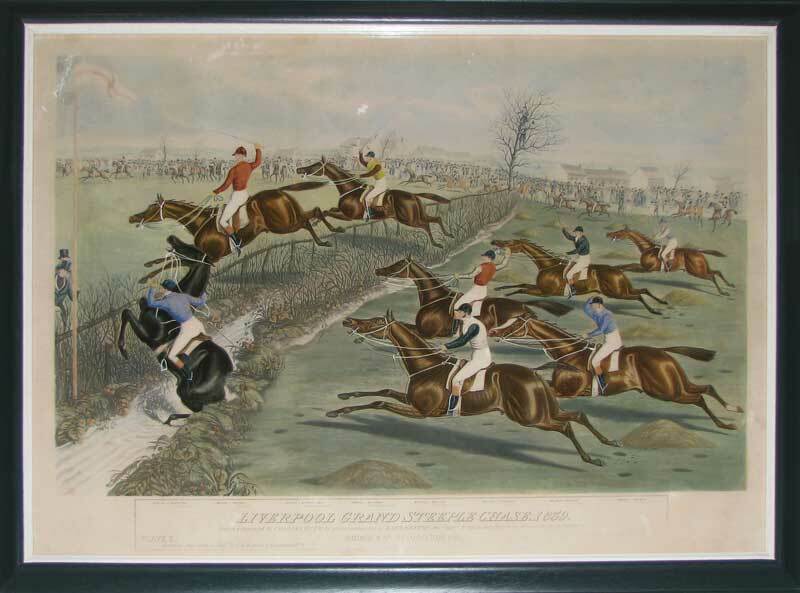 These scenes depict the race at full gallop crossing the second and third brooks. 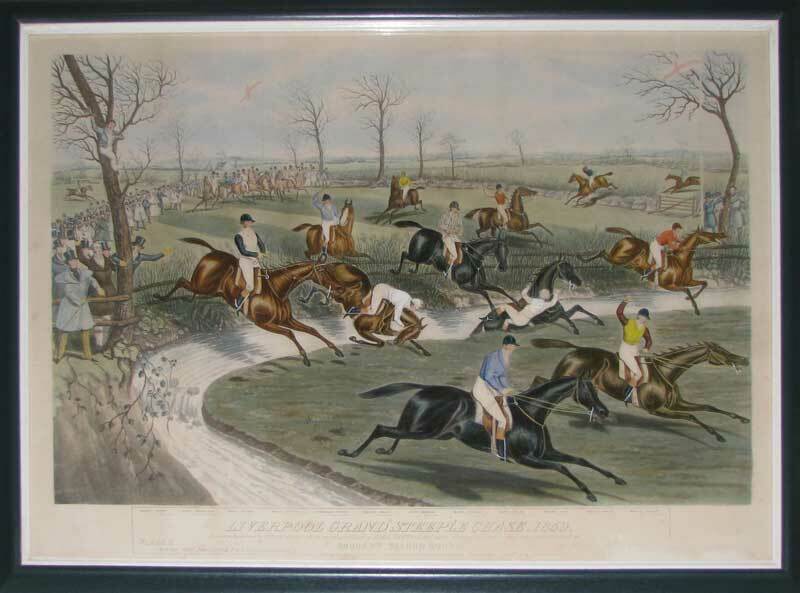 This was the first running of a steeple chase on record and was later to become known as the world renown Grand National. It was held at the Aintree Racecourse near Liverpool and comprised seventeen runners. The race was won by James Mason on Lottery and the horse dominates both scenes. Charles Hunt was one of the most prolific and successful aquatint engravers working in London during the early to mid-nineteenth century. Along with his brother George, he engraved after all the most famous sporting artists of his day and produced some of the most accomplished work of the period. This wonderful hunting scene is typical of his work and shows the heights to which aquatint engraving had reached by the early Victorian period.